Timeless Brogues – The Brogue-Ish Dictionary! “Brogue” means perforation. These shoes are perforated in a manner to give the effect of an intricate design. They look very similar to oxfords but with the perforations. They are thus considered comparatively less formal. However you can very well wear them with a suit and carry it off really well. In fact while people prefer their black dress shoe to be oxfords, for brown or shades of tan, they often prefer the brogues. In fact brogues are considered as a variety in oxford. Brogues are close-ended. This means that the flap with eyelets to tie your shoes is open only from the top and closed at the bottom. This adds finesse and also makes your feet look narrow. However, you may often find closed-ended too nowadays for a more formal look. They can be leather or suede however the sole is usually leather only. Suede shoes are obviously a more casual version but hot in fashion nonetheless. This is because if you go out on a date in these, well it is going to go really well! Trust me! Women do notice your shoes and if you actually put in the effort to wear casual dress shoes, there’s nothing more to ask for! They are the 2nd most important pair of dress shoe you ought to own right next to oxfords and well if your workplace is not so rigid, they can easily top your list. Brogues are way more high fashion as compared to oxfords. 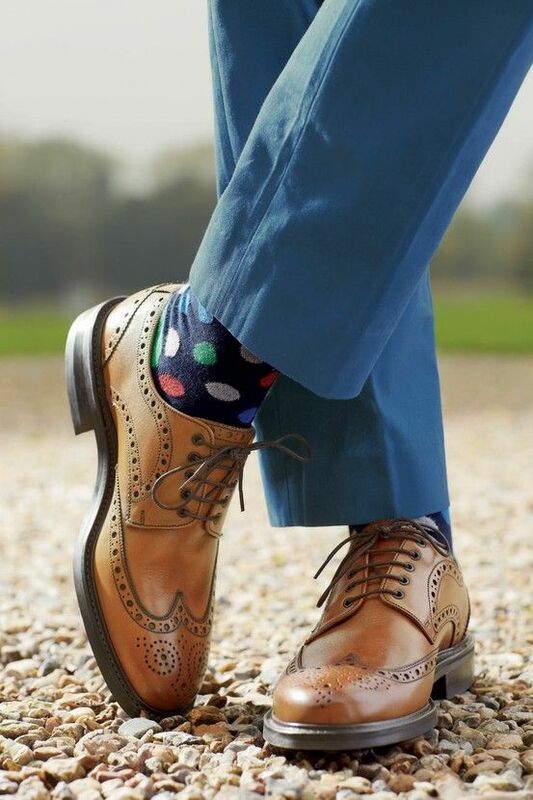 Let us know in the comments below what you feel about brogues and if they are your favorite dress shoe out of the lot!